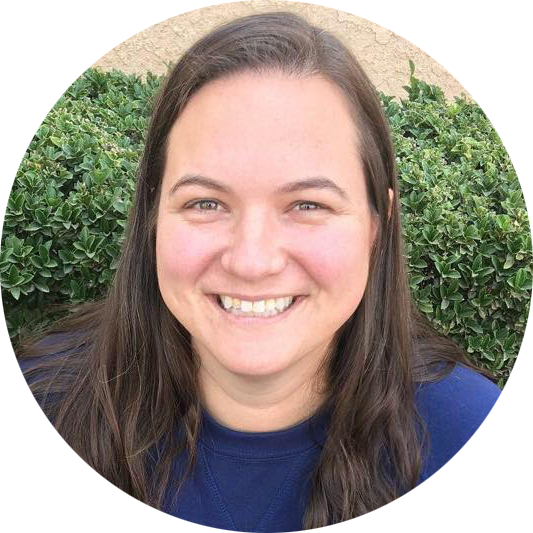 Alison is a graduate of Purdue University and was an elementary teacher for five years before she joined Gold Arrow’s year-round staff. 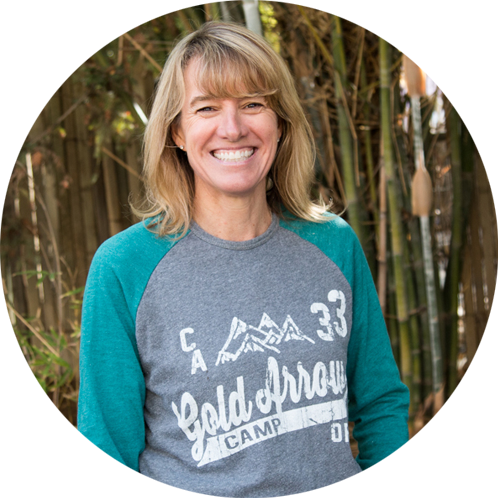 Alison has been part of Gold Arrow Camp for the past 26 years as a camper, CIT, and staff member. 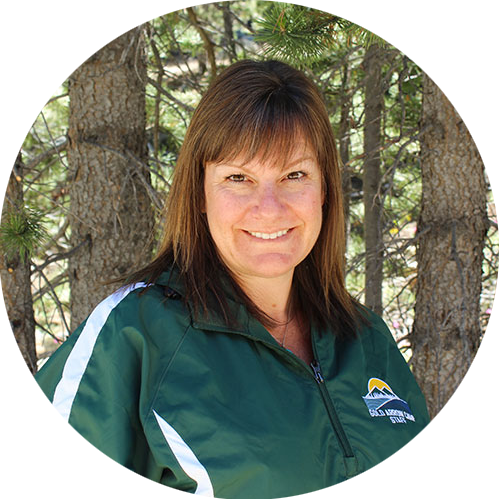 She is also a certified Lifeguard Instructor as well as a Wilderness First Aid Instructor. Alison is married to Andy, who campers call "Soy". They spend their summers at camp with their two daughters, Ellie and Greta, and their dog, Henry. 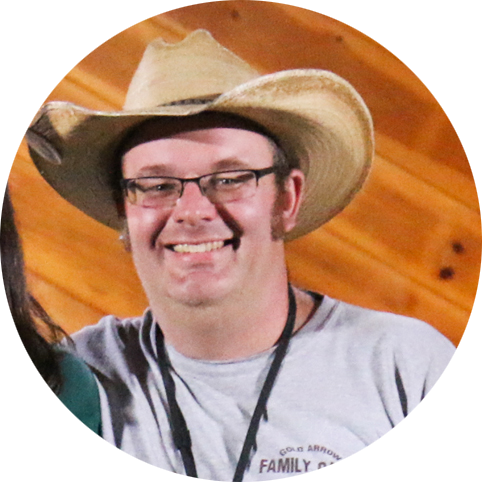 Andy, who campers call “Soy,” oversees camp operations, which includes maintaining the facilities and equipment at camp. He was a high school history and government teacher for 14 years before coming to work full time for camp. He met his wife, Alison ("Bean") while playing tuba in the Purdue All-American Marching Band. If you could be any fictional character, what character would you be and why?I would be Sherlock Holmes. He is a master of all kinds of arcane knowledge, which would make him basically unbeatable at trivia. What you're most looking forward to:Being back in the sunny Sierras, having fun, and Morning Assembly. Chelsea holds a bachelor’s degree from U.C. Davis. 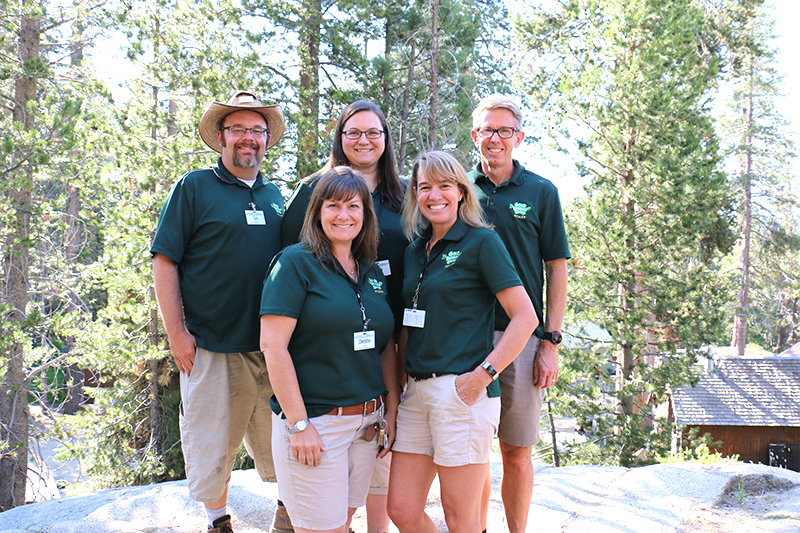 Being involved with camp for more than twenty years, Chelsea has a long history associated with Gold Arrow. Not only was Chelsea a former GAC camper, but her parents were former GAC staff members who met at Gold Arrow. Now, Chelsea and her children, Macy and Elliot, spend their summers at GAC. Together with her husband, Steve (aka “Seismo”), they spend the rest of the year in southern California. Chelsea, who is called “Chelster” at camp, is committed to the welfare of campers, helping to create summer memories that will last a lifetime. If you could be any fictional character, what character would you be and why?Wonder Woman because she's strong and fierce! What you're most looking forward to:Meeting and getting to know all of the new campers and staff. Steve holds a bachelor’s and master’s degree from U.C.L.A. and has been at Camp since 1989. 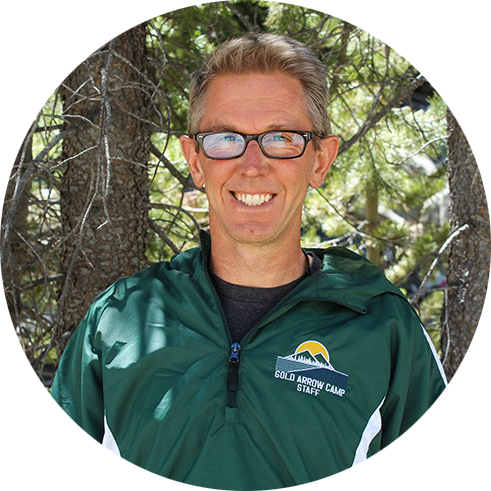 Steve, along with his wife Audrey, is responsible for the business operations at camp and is committed to the development of children and to maintaining the traditions that have made Gold Arrow one of the finest traditional camps in the United States since 1933. Audrey, who campers and staff call “Sunshine,” and Steve, who campers and staff call “Monkey,” spend their summers at Gold Arrow Camp with their five children. Favorite food:Jicama - nature's savory apple! If you could be any fictional character, what character would you be and why?The Flash - the fastest fictional character ever. What you're most looking forward to:Camp smells - campfires, pine trees, bacon, etc. Audrey is a graduate of Stanford University and recently earned a master’s degree in psychology from Fresno State. Her first book, Happy Campers will be released on May 7th, 2019! She is also a Certified Camp Director through the American Camp Association. Audrey has been at Gold Arrow Camp since 1986. Audrey, who campers and staff call “Sunshine,” and her husband, Steve, who campers and staff call “Monkey,” spend their summers at Gold Arrow Camp with their five children. If you could be any fictional character, what character would you be and why?Harriet the Spy - Loved that book as a kid! What you're most looking forward to:Happy kids, campfires, being with my GAC fam.